When I was growing up I was never an athletic kid. Sure, I tried every sport under the sun – my parents saw to it that I was well-rounded that way – but I never found anything I excelled at. It was only in my adulthood that I began to seek out ways to be active that I would really enjoy. It didn’t take long before I realized I am just not, nor have I ever been, a team sport kind of person. By far my favourite activities are all individual sports: kickboxing, snowboarding, yoga, kayaking and running. As I learned to incorporate sport and other activity into my life I began to see a shift in my mindset: I feel lost and sluggish if I can’t get any exercise. I’ve become dependent on the endorphins for a sense of wellbeing, health and vitality. I even kept running until I was 28 weeks pregnant. I’m now 5 weeks postpartum and am DESPERATELY awaiting the go-ahead to run again. 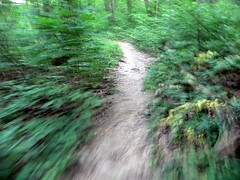 I miss running more than any other activity except maybe for hiking the Grouse Grind. I’ve started a daily 2 mile walk now with mini-boy either strapped to me in the carrier or in the stroller as well as some mild abdominal exercises to try and put together what’s left of my post-cesarean muscles. I’m hoping when I see my doctor next week I’ll be given the go-ahead to resume normal activity. I’ve decided to give myself a goal: I plan to complete this year’s Seek The Peak Relay solo. The Seek The Peak Relay is a very special event. 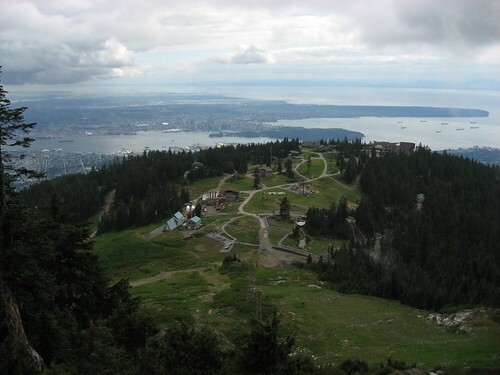 There’s something very fulfilling about standing on the top of Grouse Mountain, 4100 feet above sea level, looking at the ocean and knowing you just traveled that distance on foot. I have done this race before… and when I say race I mean I have completed the distance on event day. I don’t race. I’m a real slowpoke but I love the sense of accomplishment from completing races. Last time I did it was, I think, in 2003 or 2004 and I finished in 2 hours and 50 minutes. I was much fitter then than I am now, so who knows how I might fare this year, but I think it’s a good goal to aim for. So I’ve got a daily 2 mile walk until I’m cleared to run. Then I hope to get out 3 or 4 days a week for runs of 3-5km to start and building back up to 10km within a couple of months. 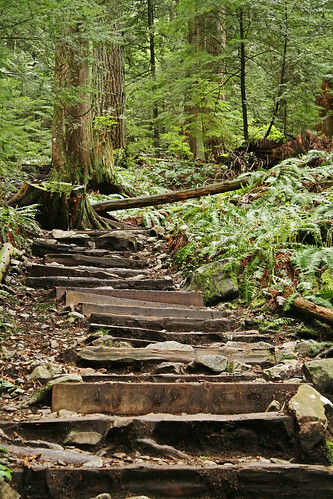 Once the Grouse Grind opens up for the summer season (which may be early this year if the snowfall levels remain so low I suspect) I’d like to get out to hike once every week or two. The Seek The Peak Relay usually takes place early July… I’ve got 5 months. I hope I’ll manage to get back to a ~1hr 10km and lose about 25 lbs by then. I have 15 pregnancy pounds left to lose. Anyone want to run the Seek The Peak with me? Awesome! I did the race last year after learning about it from you, and will do it again this year. And same as you I don't have a time goal, just to complete the course is a big sense of accomplishment. Good luck with the running. It won't take you long at all to get back into it! I'll have to settle for cheering you on. But I'll totally do that. Go Michelle! .-= Amber´s last blog ..Maternity Leave Eligibility for the Self-Employed =-. I hear ya! Go Michelle Go! .-= VancityAllie´s last blog ..FUN AT BIG WHITE =-.